This weekend I participated in The Indie Exchange's Weekend Read-a-long. 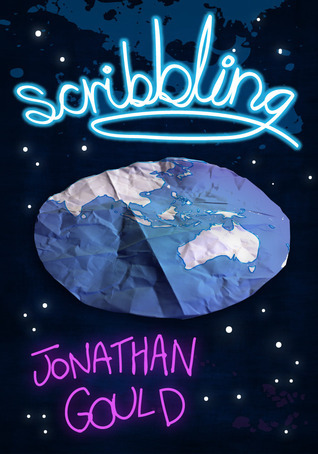 For our book this month Jonathan Gould was kind enough to provide advance copies of his upcoming short story Scribbling. We meet up with Neville, who we met in Doodling, and he is feeling out of step with the world. In an effort to make the world more accommodating, he reshapes it. Oddness ensues. I like Scribbling a bit more than Doodling. I felt there was a bit more social commentary that I could relate to. I find it interesting that in both stories Neville finds a "purpose" in helping a woman. You do not need to read Doodling to enjoy Scribbling. In truth, there was no reference to anything that happened in Doodling. At one point Neville makes a comment and it is as if Doodling had never happened. So they are stand along stories that feature Neville. If you like humorous stories, put Scribbling on your wish list.